Welcome to my site. 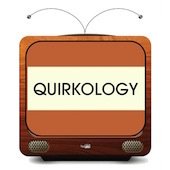 I produce the music for several well-known YouTube channels, including Quirkology (350 million views) and In59Seconds (33 million views). I also create soundtracks for live shows, animations, and computer games. I’m a classically trained pianist, and I compose and produce music in a variety of styles, including classical, jazz, psychedelia and dance. You can listen to my work in the ‘Projects’ section, and please get in touch if you are in need of a musician and composer. I can create pieces that are just a few seconds long or an entire soundscape, and my rates are very reasonable.